There is one particular question, we are being asked quite a lot of times and that is ‘'What is RSS?’ So today we thought to just pen down a few ‘Need to Know’ in context of RSS for our avid readers. Firstly, answer us if you would like to be up to date with latest posts on TechQuark.com? If, Yes , then there are a number of ways to do that, subscribe to the website and receive updates and one amongst them is via TechQuark's RSS feed. So once again, What is RSS? It stands for Really Simple Syndication. You can group your site’s content. Provides a simple way to share and view the latest website updates and content. Have to potential to be updated automatically. RSS is designed so as to show the selected data. 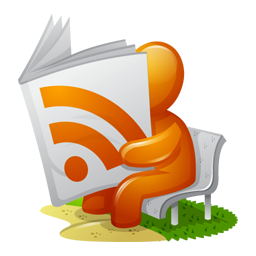 IF not RSS, users will have to manually go to a particular website and check for its daily updates. This is time consuming and even users are not sure to come to your website regularly. Thus, RSS gives you and edge over other websites. Also, RSS aggregator allows viewers of your website to check data much faster. Since, RSS only give the ’Text’ , the weight of the data is less allowing fast loading and easy use with cell phones and PDA’s. Web-rings with analogous data can easily share data on their web sites to enhance the usefulness. There is a lot of work in web surfer’s basket. Complications increase as the number of website to be surfed increases. If checking bookmarks is forgotten the information to be collected is missed. There is redundancy in information for the websites which do not update data regularly. Definitely not webmasters as they hardly update their website and hardly need RSS. So who should be using it? There is a substantial awareness of RSS these days and companies, websites, are making use of it. For their target users, it is easy tool to provide the followers the latest information. While even the web developers can raise their voice and have a greater chance to be heard.